The penultimate day of the Swim England Winter Championships sees some of England’s top female swimmers looking to put themselves in the frame for selection in four different events. Olympic medallist Siobhan-Marie O’Connor – already selected for both the 200m IM and 100m Breast – looks set to compete in the latter while Rosie Rudin, Imogen Clark and Abbie Wood are among the youngsters looking to secure consideration times for Gold Coast 2018. While Olympic silver medallist Siobhan-Marie O’Connor focusing on other events in Sheffield, the door is open for her domestic rivals to go for gold. A repeat of Abbie Wood’s 2:12.62 PB to win silver at April’s British Championships should put her in the mix while Scotland’s Hannah Miley – who beat Wood to the British title – also lines up. English swimmers Aimee Willmott, Molly Renshaw and Katie Matts all have season’s best times within a second of the consideration time and could play their part in a memorable final. Double Olympian Lizzie Simmonds won silver in this event at the 2010 Commonwealth Games and is the only English athlete already selected for next year’s Games. 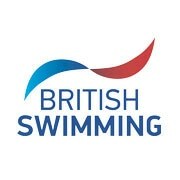 Both Rosie Rudin and Jessica Fullalove have swum within the consideration time this season, winning gold and silver at the British Championships respectively. Loughborough’s Charlotte Evans was third at that event with a PB 2:10.35 while Canada’s world junior 100m Back silver medallist Taylor Ruck holds the fastest entry time on 2:07.62. British record holder James Guy has already been selected for next year’s Games, having set his PB of 50.67 to land bronze in this event at July’s World Championships in Budapest. While there isn’t a huge list of English swimmers queuing up to join Guy on the team, Poole teenager Jacob Peters is in the form of his life, having set a British 17 Yrs age group record 53.32 at the World Junior Championships this year. Italian teenager Federico Burdisso could be the pacemaker on the night, fastest entry on 52.73 and a medallist at both European Junior and World Junior level this year. Both British champion Sarah Vasey and British record holder Siobhan-Marie O’Connor are already on the team for Gold Coast 2018, having beaten the consideration at this year’s World Championships in Budapest. O’Connor looks set to compete again in Sheffield while Canada’s Kierra Smith – sixth overall and fastest Commonwealth swimmer in this year’s World Championship final – will also add to the class of the field. Loughborough’s Imogen Clark – British record holder over 50m Breast – is among the English swimmers hoping to grab the third available selection spot for the Games while World Junior 200m Breast medallist Annabel Guye-Johnson set a PB 1:08.49 at this year’s British Summer Championships. World junior champion Freya Anderson is the only English athlete to have already been selected for the Games over 100m Freestyle, but will be competing at the European Short Course Championships. Among the English contenders looking to join Anderson in the individual event – as well as the 4x100m Freestyle Relay – at the Commonwealths are Anna Hopkin and Jessica Jackson. Both have entry times within a second of 54.30 while Sheffield’s Ellie Faulkner – already on the Commonwealth team for 200m Free – won the British Summer Champs title in 54.89. Meanwhile, a trio of talented Canadians head the entry list. Taylor Ruck swam the third leg for Canada as they won 4x100m Freestyle bronze at the Rio Olympics while Kayla Sanchez competed in the same final at this year’s World Champs. Putteridge’s Lawrence Palmer is at the top of the entry times for the men’s 50m Breaststroke. Palmer won bronze at this year’s British Summer Championships. Lewis Clifford-Stephenson won the Winter Champs title 12 months ago in the short course pool and returns to defend his crown.